With a cool crisp air blowing and the sun shining, California is welcoming in fall weather. Soon it will be time for apple picking, hay rides, scarves and mittens. This is my favorite of time of year! Having a birthday coming up doesn't hurt either. Goodbye summer and hello fall! 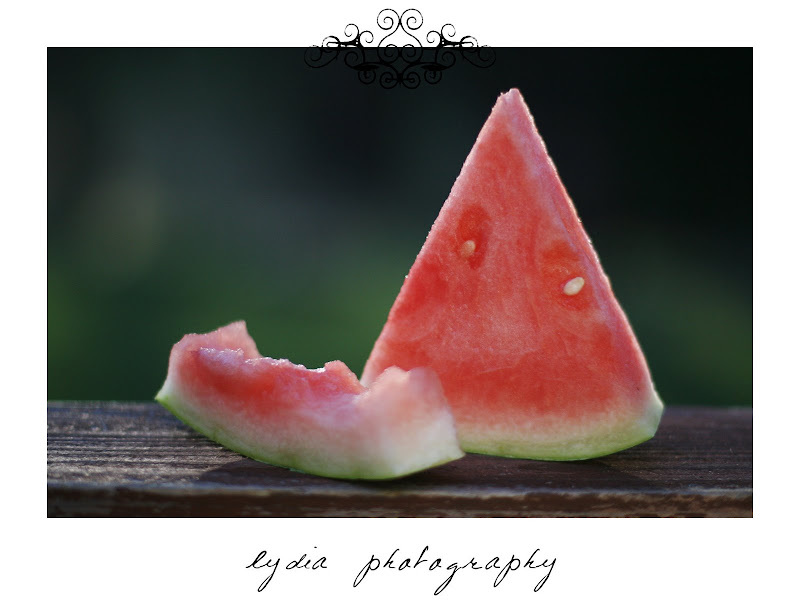 Yummy...makes me want a piece of watermelon right now! When's your birthday? Are you born in September? Thanks for your comments and supporting my blog! I know, can you believe it's September! The watermelon looks mighty tasty. This is one of my fav times of year! Can't wait until the cool really hits. :) Love this image.